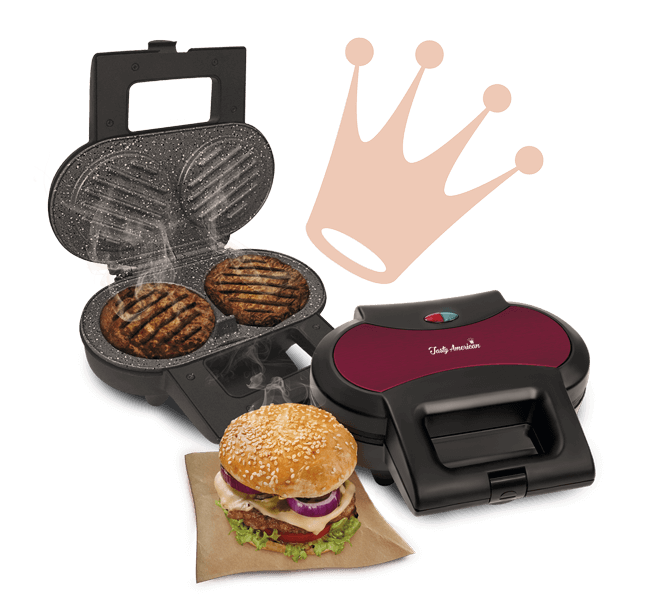 Prepare delicious hamburgers quickly and easily! Relish the flavour of the very best homemade burgers with Tasty American™. Make 2 hamburgers at a time with whatever ingredients take your fancy. Its surface is non-stick and it has a security clasp on the handle, as well as a green light which comes on when the metal plate is ready to use. 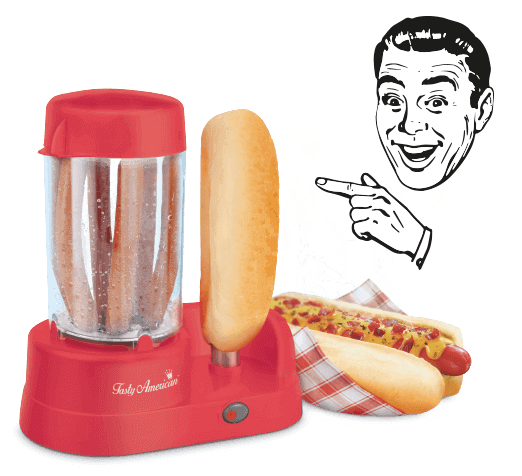 Tasty American™ makes hamburgers easier than ever with this sensational appliance! Prepare delicious biscuits in different shapes and decorate your favourite desserts! 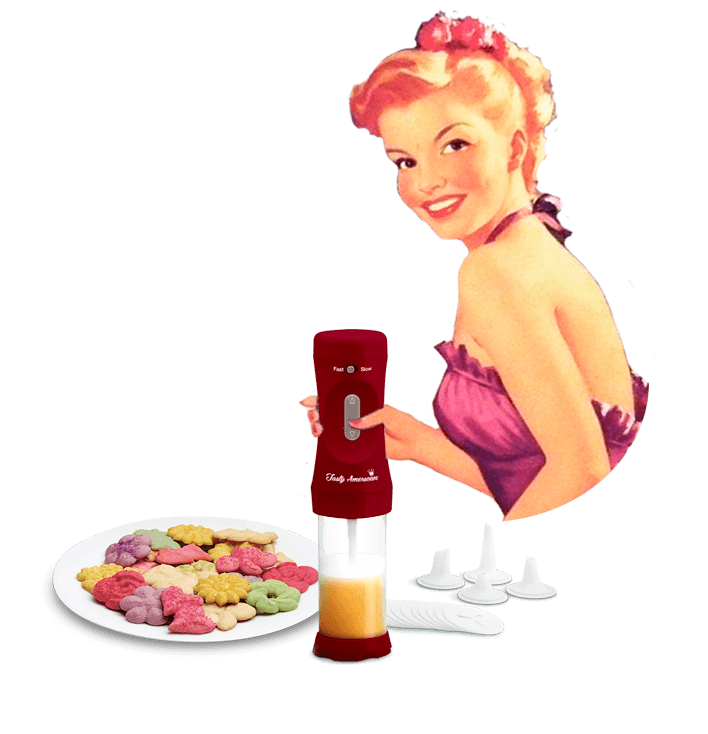 Discover how to make home-made biscuits easily and quickly with the Cookie Press Maker. You will be able to make up to 20 different shapes thanks to its interchangeable moulds, and give your baked creations a special touch thanks to the pastry tips. Control the amount of dough that’s left thanks to its transparent recipient! Includes: 12 biscuit moulds and 4 pastry tips for decorating. 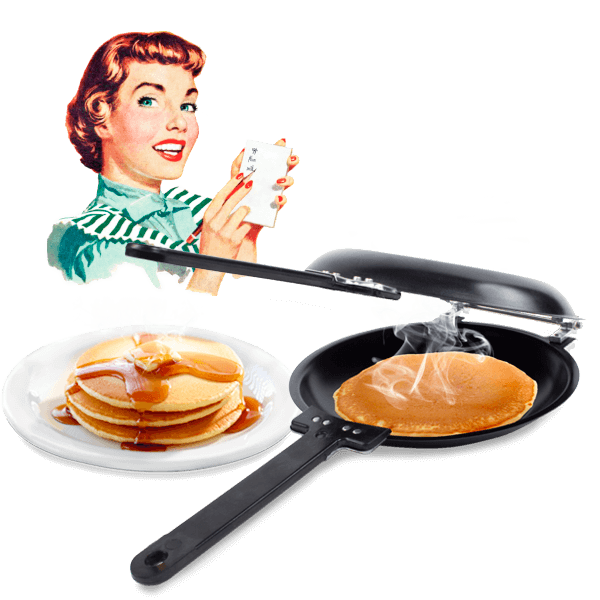 Try perfect fluffy American pancakes thanks to its non-stick coating. Simply add the mix to the dough dispenser, pour, toast, flip and enjoy. You can also win over your palate making the most romantic pancakes with the heart-shaped form. 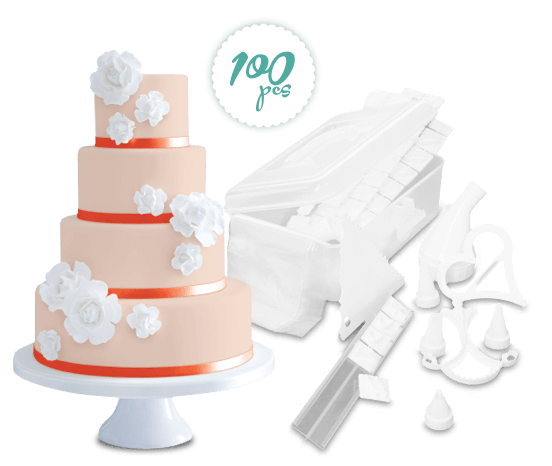 This cake decorating set will make your friends and family green with envy! It includes a storage box made of plastic containing a set of icing tips (petal, ribbon, round, star, leaf, flower and multi-opening), 15 icing bags with a universal coupler, applicator & bag retainer ring, 68 letters and numbers, a stencil holder, 4 decorative pattern stencils (“C”, heart, vine and fleur-de-lis), a plastic flower nail and a 3-profile cake icing spatula to make and decorate goodies in your own kitchen. Enjoy the real American hot dog with Tasty American ™ Hot Dog! With this appliance you can prepare up to 6 hot dogs at the same time. The stainless steel bar allows you to heat the bun. It features a water tank with non-stick coating and a sausage compartment. Bake up to 6 delicious, filled cupcakes with this silicone mould. You’ll be able to try out endless combinations of chocolate, jam, cream, fruit, caramel, etc. The cupcakes are easy to remove from the mould. 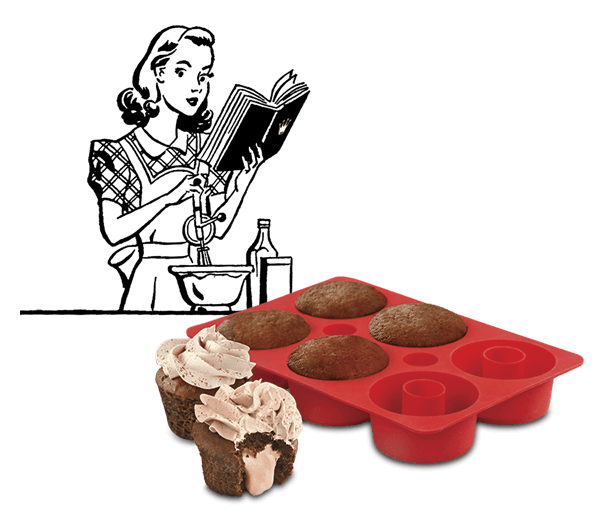 Includes silicone accessories which will allow you to hide or reveal your cupcakes’ fillings. 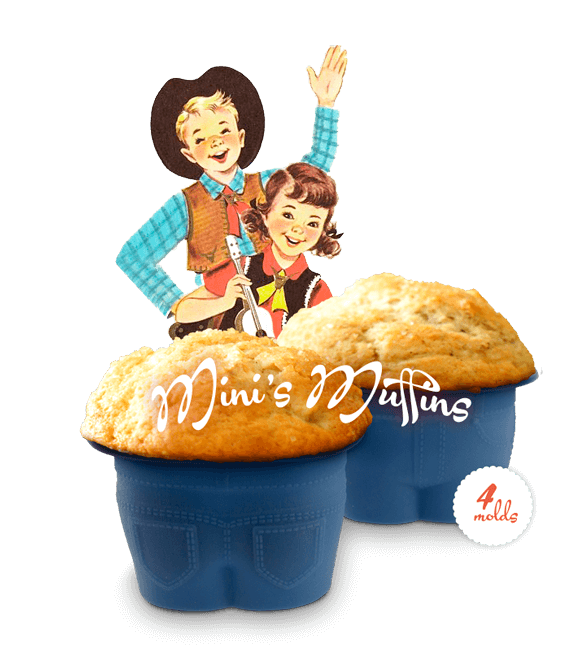 Mini’s Muffins ™ are not just silicone moulds for preparing madeleines, they are the moulds that will make the only madeleines you’ll want to eat! Suitable for oven. Includes 4 moulds.